Iran Increases Cyberattacks Against U.S.; Where’s the Coverage? 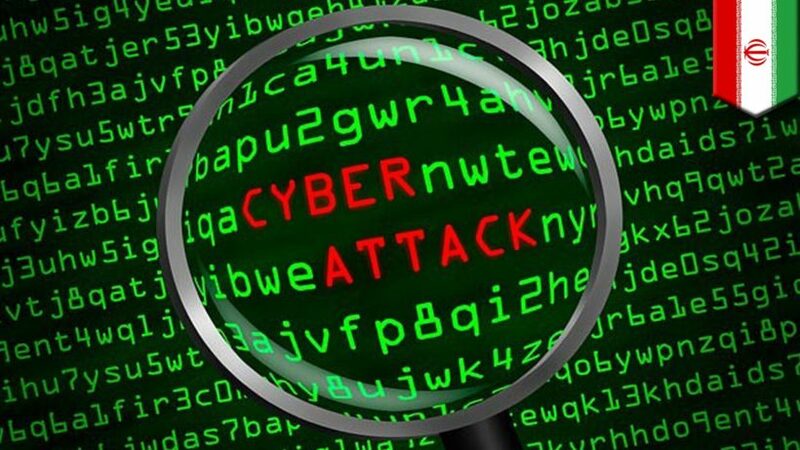 Iran is again increasing cyberattacks against the United States, although many major news media outlets have not covered the aggression. According to the paper, Iran has been identifying specific State Department employees who focus on Iran and the Middle East and hacking into their email and social media accounts. One anonymous senior U.S. official called the attacks “subtle” noting the Islamic Republic’s savvy use of social media, such as Facebook, to target young U.S. officials. The attacks, the Times notes, are “nothing new,” having begun in the latter years of the Bush administration and proceeded since then to target U.S. agencies, banks and citizens and Saudi and Qatari energy entities, among others. The attacks increased, reaching more than 1,500 attempts at the time of their apex in May 2015. Just prior to talks between the U.S. and Iran over the latter’s alleged illegal nuclear program, Iranian cyber-attacks began “probing critical infrastructure networks in what appeared to be reconnaissance for cyberattacks meant to cause physical damage,” the Times noted. However, as negotiations between the United States and Iran began, attacks against the United States noticeably dropped off, although attacks against Israel did not. In August, two weeks after the Iran deal was reached, Iranian cyberattacks resumed. This renewed flurry of Iranian cyberattacks was predicted in an April 2015 report by American Enterprise Institute scholars Frederick Kagan and Tommy Stiansen. This study noted that since the beginning of 2014 to March 2015, Iranian cyberattacks had increased by 128 percent. The report further noted “hundreds of thousands of domains registered to Iranian people or companies” are “a result of Western failures to enforce IT sanctions and regulations governing technology transfers”—and are sometimes used to conduct cyberattacks against the U.S. and its allies. News coverage and commentary about renewed Iranian cyberattacks has been sparse. The Washington Post, in an November 18 online-only column by guest bloggers Dina Esfandiary and Ariane Tabatabai, predicted that attacks will increase. The Wall Street Journal (“U.S. Detects Flurry of Iranian Hacking,” November 4) and The New York Times, alone apparently of major print outlets, reported the Iranian hacking increase. Publications that had reported on the Iran nuclear deal—and endorsed it editorially, such as The Baltimore Sun and Los Angeles Times, among others, did not cover the Iranian attacks. USA Today didn’t report the renewed attacks, despite having run a prescient op-ed by Ilan Berman of D.C.-based think tank American Foreign Policy Council in 2014 that called for paying close attention to the Islamic Republic’s cyber activities (“Sony hack gives cover to Iran; With eyes on North Korea, growing threat from Tehran gets overlooked,” December 30). A little coverage in three major outlets; where was the rest of it? 1. What two types of bias is the report an example of? 2. Why to you think most news organizations ignored this important story? 1. The report is an example of bias by omission and story selection.